Stock Dogs can be incredible Partners to you in your livestock operation. If you are wanting to explore the possibility of developing the ideal working relationship you have come to the right place. That partnership requires things from you as well as from the dog. BLU one of the very Best partners a girl could wish for. 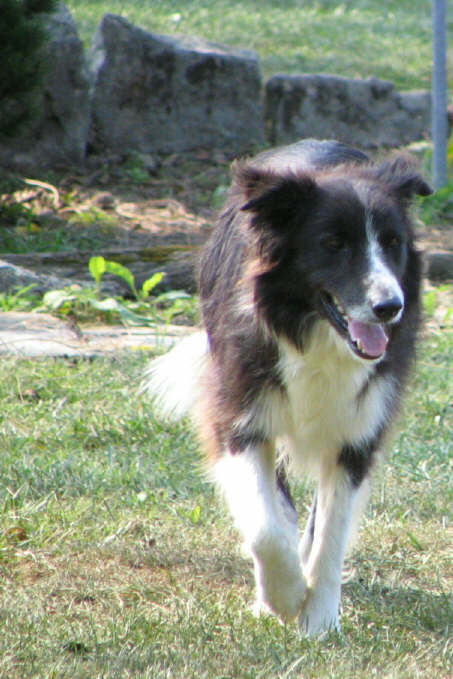 Luke was the first Border Collie, there have been many more. All coming into my life leaving an impression, all teaching me a lesson or two. You can check out my present working dogs, young ones coming up through the ranks and some of those who paved the way. My mission is Four fold. 1. To build a great partnership with my Border Collies to enable me to raise and sell the best grass fed lamb possible. 2. 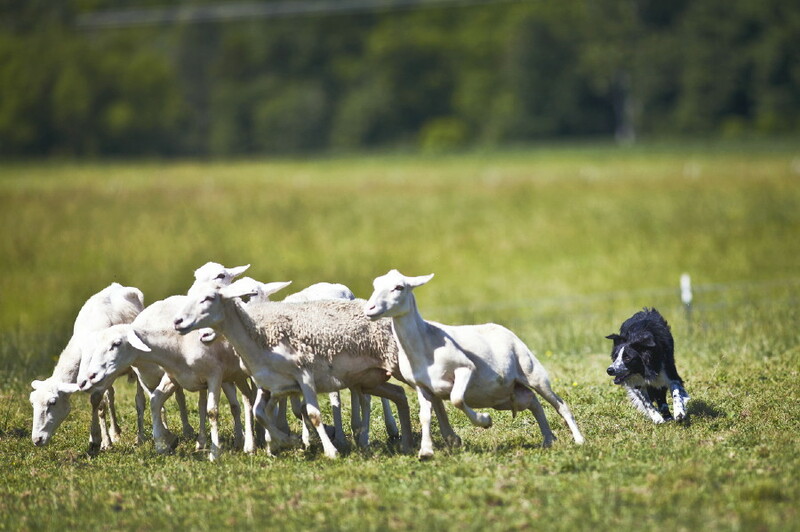 Raise, train and offer for sale Border Collies that suit livestock producers and production agriculture. 3. Offer training opportunities at Clearfield Stockdogs for you and your stock dog enabling you, your livestock operation and your dog to benefit from the things you learn here. PHILOSOPHY My thoughts about stock dogs and how best to train them has evolved over the years. I began thinking the training was about Obedience and Making the dog do as I say. I Was WRONG. I have learned that these dogs Want to Work and Want to Please you. They are bred to be that way. Developing a relationship built on Trust, Respect, and Mutual Understanding with a dog that has the right disposition and correct Instincts to the job you need done is far superior to obedience / mechanical training where you have to see and tell the dog what to do and when to do it. Using the dog's Instincts that are bred to be there, allowing the dog to use it's Intelligence making adjustments as it sees necessary will benefit you and your stock. Jack Knox is famous for saying, "Make the right easy and the wrong difficult." "Correct the wrong." "Allow the dog to use it's mind." "It is not the Correction that works it is the freedom behind the correction." Meaning if you teach the dog to respect you and the stock, to think for itself then the dog will be trying to please you and trying to do as you ask - without needing a bunch of commands. If you would like to learn more about Border Collies in general or if you are a livestock producer looking for information on how to incorporate these amazing dogs into your livestock operation I am happy to visit with you. A phone call is best. If you would like to email do so at denice.r@lycos.com Already have a dog and need help I will give it my best shot. Lots of info on this web site about lessons and training clinics.